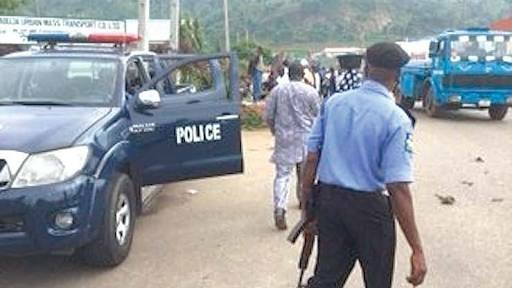 Barely a month after an unidentified woman was murdered in a hotel room in Abakaliki, the Ebonyi State Police Command, on Tuesday, said it had arrested the suspected killers. The main suspect in the murder has also confessed. According to the state Police Public Relations Officer, DSP Loveth Odah, the main suspects are Mr Lucky Godwin, 48, and his wife, Mrs Onyinyechi Godwin, 39, who are traders at the Mayor Market in Enugu, the capital of Enugu State. 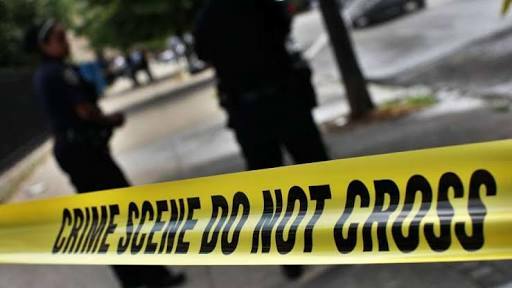 The manager of De Crown Gardens Hotel, located on the Afikpo Road, Abakaliki, Mr Emmanuel Eze, had on December 3, 2018, reported to the police that the decomposing body of an unknown lady was found in one of the rooms of the hotel. Odah stated that police operatives visited the scene and evacuated the corpse to the mortuary for preservation and autopsy, adding that professional crime busters from the State Criminal Investigation Department were mandated to unravel the mystery surrounding the death in 48 hours. Lucky, according to the police, confessed to the crime and admitted that he was responsible for the murder of the lady found dead at De Crown Gardens Hotel, Abakaliki, on December 6, 2018. He was quoted as saying in a document made available to journalists by the PPRO that he stabbed Ugwu, stole her two-year-old daughter, whom he sold to an orphanage at the Akwukabi Etche community in Rivers State. It was gathered that the suspect also ran away with the murdered woman’s two-year-old daughter after he had killed the mother. Lucky was quoted as saying that he brought the lady and her daughter from Enugu on November 30, 2018, and they all lodged in the hotel, where he gave his name as Uchenna Awoke in the guests’ register. He alleged that he was assisted in the act by the hotel’s gateman, Monday Onwe, who, according to him, gave him the knife with which he murdered the lady, adding, “The same gateman kept watch while I escaped with the dead woman’s baby. He also confessed that he and his wife sold their first son, Emmanuel Godwin, to one Dr Arthur Ugo, the alleged owner of AVON Hospital in Iguruata, Rivers State, for N200,000. The police said they had successfully recovered the three children and that efforts were on to arrest the said Ugo.